Stop at Casa de las Flores Hotel to discover the wonders of Oaxaca. The property features a wide range of facilities to make your stay a pleasant experience. Service-minded staff will welcome and guide you at the Casa de las Flores Hotel. Designed for comfort, selected guestrooms offer internet access – wireless, internet access – wireless (complimentary), whirlpool bathtub, air conditioning, wake-up service to ensure a restful night. The hotel offers various recreational opportunities. 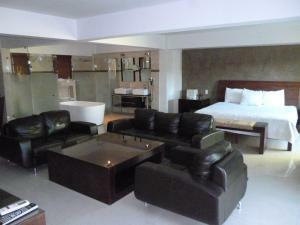 Convenience and comfort makes Casa de las Flores Hotel the perfect choice for your stay in Oaxaca.